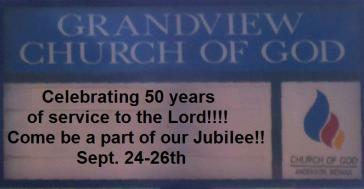 Welcome to the webpage for the Grandview Church of God!! This ministry is an outreach of the church to those who cannot make it to services and a home for updates and announcements from the church. We plan to begin filming the Sunday morning services to be available to watch from the webpage in the coming weeks. We will also be including links to other sites that may be helpful or of interest to the members of our congregation. In addition there will be announcements from the Sunday bulletin posted to the webpage each week as well. We hope this resource becomes a helpful and fun addition to our church's ministry program. 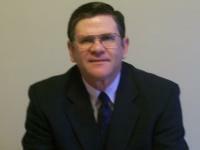 Brother Danny Lee Goins has been the pastor of Grandview Church of God for 17 years now. He came to Grandview from Henning Church of God in Frankford, WV. Brother Danny sits on the Church of God credentials board for the state of Kentucky. Brother Danny and his wife Jeane Ann, who leads worship service and handles countless other behind the scenes jobs, are the parents of three grown children; Rebecca Benner, Angela Terry, and Matthew Goins. Brother Danny has also been active in a yearly mission trip to Hondouras working on building a church and ministering to the locals for the past four years. He plans to continue those works in the future.